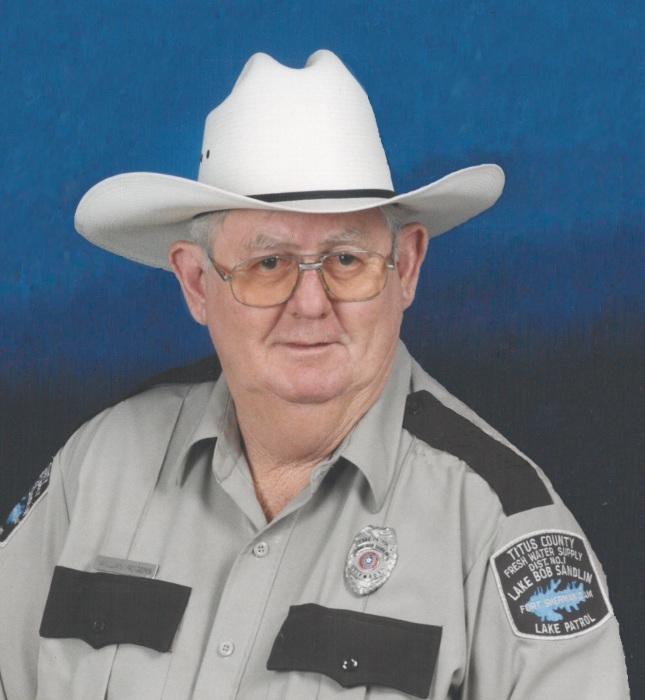 Visitation for William Rogers, age 78, of Dike, will be held from 7 to 9 P.M. on Thursday, February 7, 2019 at Murray-Orwosky Funeral Home. Private inurnment will be held at Conner Cemetery at a later time. Mr. Rogers passed away on Saturday, February 2, 2019 at his residence. William Elbert Rogers was born on May 25, 1940 in Dallas, Texas to Elbert and Alice Rogers. He married Patricia Bell on January 13, 1962. She preceded him in death in 2005. William served in the US Coast Guard, US Army, and National Guard where he retired after 27 years. He also retired from GTE and worked as Lake Patrol on Lake Bob Sandlin. He is survived by his sons, William “Sonny” Rogers Jr. and wife Jennifer of Dike, Jason Earl Rogers and wife, Rhonda of Birthright; daughters, Sheri Kay Cook, Patricia Ann “Susie” Thedford and husband, Eugene of Houston, April Dawn Gerety and husband, Bill of Meridan, Kansas; grandchildren, Chelsea Ornelas, Shayna Boatman, Layni Good, Laramie Rogers, Ashly Shaffer, Jason Hooten, Cyndi Woods, Kevin Bilharz, Tyler Bilharz, Rayann Billingsley, Orion Gerety, Phoenix Gerety; great grandchildren, Makenzi McPherson, Skyler Schaffer, Brayden Boatman, Aubree Schaffer, Riggin Bilharz, Addison Bilharz, Ryker Bilharz, Cason Billingsley. William was preceded in death by his brother, Jimmy Rogers and sister, Mary Prock.